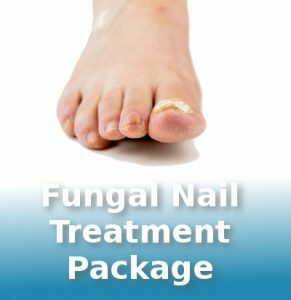 A life without fungal nails is achievable…. Fungal infections can ruin the look of your toenails and can spread to cause persistent skin infections elsewhere and life long. We understand fungal toenails and believe that with determination and professional support you can look forward to a life without fungal toenails. Take your first steps towards healthier nails, call us today on 01293 734 229. When treating fungal toenails we need to continue treat for the time it nails the infected nail to ‘grow-out’. We offer a package of three appointments spread out over a 3-12 month period to debride the infected nails so your weekly treatments are more effective. The package includes Amrolfine lacquer, three routine clinic visits and clinical photography to monitor your nails as they improve. Our treatment package is available at any of our clinics and costs £130.